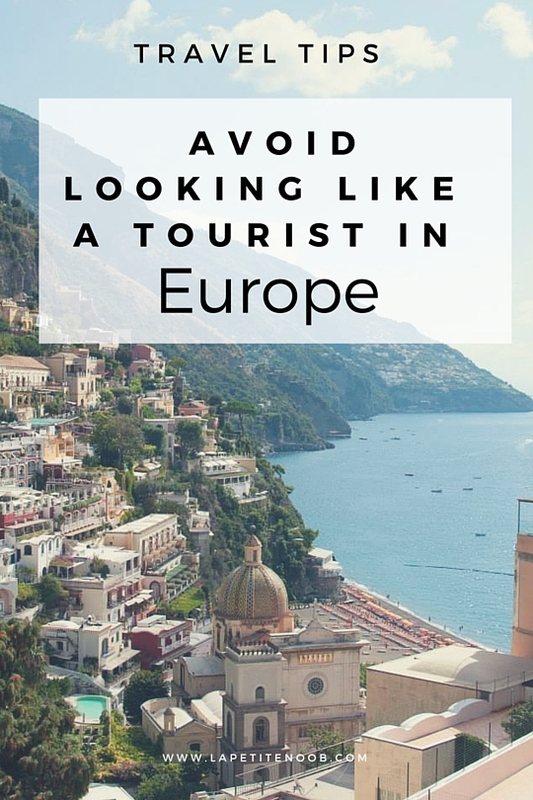 How To Avoid Looking Like A Tourist In Europe | La Petite Noob | A Toronto-Based Fashion and Lifestyle Blog. This post is giving me the travel bug. It's been years since I was anywhere in Europe, it's time I planned another trip! Yes, another trip is a must! I know what you mean, I see one photo from Paris and I want to be teleported there! This is so spot-on! I can always find tourists when I'm in France, but I'm from a little mountain town, so people are usually very nice to tourists. I'm so glad that you agree Lena! I would LOVE to visit your mountain town in France - I usually stick to Paris where they are NOT so nice to tourists LOL! These are such great tips!! It's so hard for me to put away my camera as I wnt to take photos of everything but I definitely do it on metros! Same here Lee - I'm always looking to capture the moment! Definitely putting away the camera at the metro and on certain cafe terraces helps though! This is such a great post! I remember having to say to my In-Laws when they came to England for the first time from Canada for my Wedding to never wear a fanny-pack and NEVER go out in an "I heart London" or Union Jack shirt because of pick-pockets... and we were once pick-pocketed by a huge group of Children on a bridge in Rome when I was a child, as a Londoner I was nearly robbed on a packed LDN tube train once at Uni! You have to e so careful! Great pointers.. the water bottle one is one I never would have thought of! It's so true Ellie - its best to be careful! I totally agree with the fanny packs LOL! So glad that you agree with my tips! HAHA I totally agree Shirley - I have a hard time putting my camera away too! We're always snapping photos along the way, but are mindful to keep the cameras hidden while stopped and especially on public transit. interesting post and beautiful photography. Hi Inna. Aside for the reasons mentioned, the places being visited are typically major cities and it's just not a city thing to wear sandals and flip flops around. Even myself, I live in Canada's major city and just don't wear sandals it's too dirty to do that! b) no socks whatsoever, with open toe shoes. Greece tourist destinations are one of the most popular and, exciting places in the world.http://greenvisa.io In addition, it is an archipelago country that is full of various activities and, many pristine beaches are perfect for a memorable vacation. Nice and informative post, indeed we should look common and dressed like tourists definitely makes you uncommon.